French beauty has landed on American shores and I for one, couldn't be more delighted. One of my favorite French beauty imports? Micellar water. A staple in many makeup artists' kits and on the dressing tables of many European beauties, micellar water is short on ingredients and long on results. 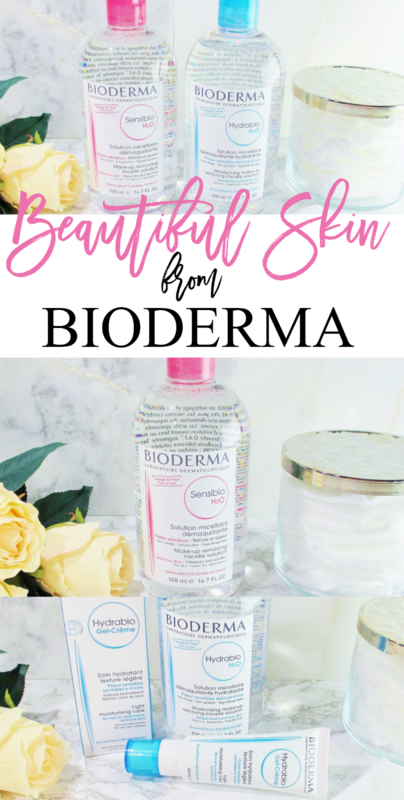 When I was offered the opportunity to try Bioderma I was excited. I like Micellar water, I use a brand I can obtain in my local drugstore but I've always been curious about the original; the French product that has spawned a white hot craze and many imitators, across this land. Bioderma Sensibio H2O is the one I think of when I think of "Bioderma." I received a big, 500 mL, 16.7 fl. oz. bottle. Created for sensitive skin, Sensibio is gentle and yet very effective. I can remove any mascara I like to wear, effortlessly and it it cleanses away face makeup, preparing my skin for further cleansing at the sink or, if I'm feeling lazy, just use a little extra and let it do the job, by it's self. Sensibio also makes a nice, light toner or skin refresher on days I don't wear makeup and just need a quick little something before applying my skin care before bed. 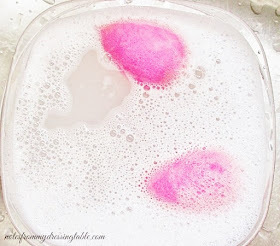 However I choose to use it, my skin is never left feeling over cleansed or stripped. 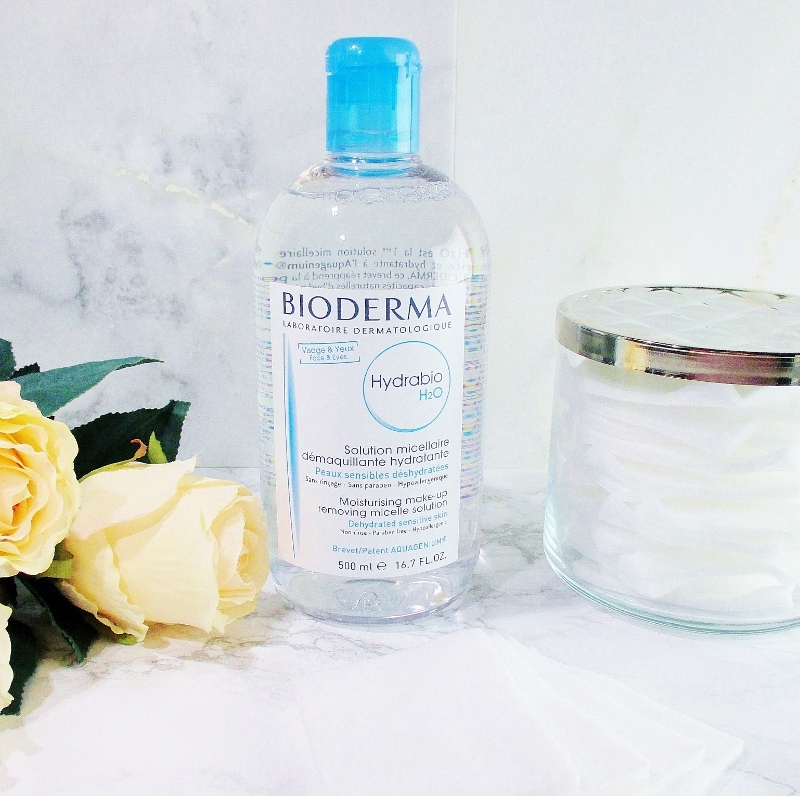 When my skin is feeling extremely dry and stressed, Bioderma Hydrabio H2O comes to the rescue. I saturate a cotton square and let this moisturizing makeup remover cleanse and lightly hydrate my skin and it is clean, refreshed and never tight or dry. Like the Sensibio, Hydrabio is an excellent eye makeup remover and it doesn't irritate my very sensitive eyes. Both of these micellar waters have the merest zephyr of a "pretty" scent. It is nearly undetectable and unless you are ultra sensitive or just strongly dislike any hint of fragrance in your skin care, I don't think that it will cause you any trouble. When I see the word "light" on the label of a moisturizer, my first thought is, "There is no way this will come even close to being hydrating enough for my skin." Guess I thought wrong. Bioderma Hydrabio Gel Cream is a facial moisturizer that is ultra lightweight in feel but thanks to intensely hydrating Aquagenium, skin strengthening and protecting Vitamin PP and the active ingredients stimulating Apple Extracts, this moisturizer deeply hydrates even my desert dry complexion and keeps it feeling hydrated all day long. I decided to put this moisturizer through a real trial by fire; I cleansed my skin and applied one of my non hydrating Vitamin C serums and eye cream then I smoothed this gel cream across my face. It dropped right in and my complexion felt instantly soft, smooth and deeply comforted and it kept feeling that way for the full twenty-four hour test. Amazing! Hydrabio Gel Cream is gorgeous under makeup, it drops right in, works all day but doesn't interfere with my foundation, CC cream or powder products. It is very gentle and I detect a soft, fresh, cucumber-y scent when I use it. Hydrabio Gel Cream doesn't irritate my eyes. Hydrabio Gel Cream does not provide any SPF so be sure to use a good sun screen underneath to protect your delicate flower face from the harsh rays of the sun. I am so happy with Bioderma. The products perform to expectation and my skin feels lovely and clean, soft and cherished when I use them. You can find Bioderma on Beautylish. Visit them on Facebook, follow on Twitter and Instagram. Hydrabio is my jam. I would love to try the gel cream at some point! 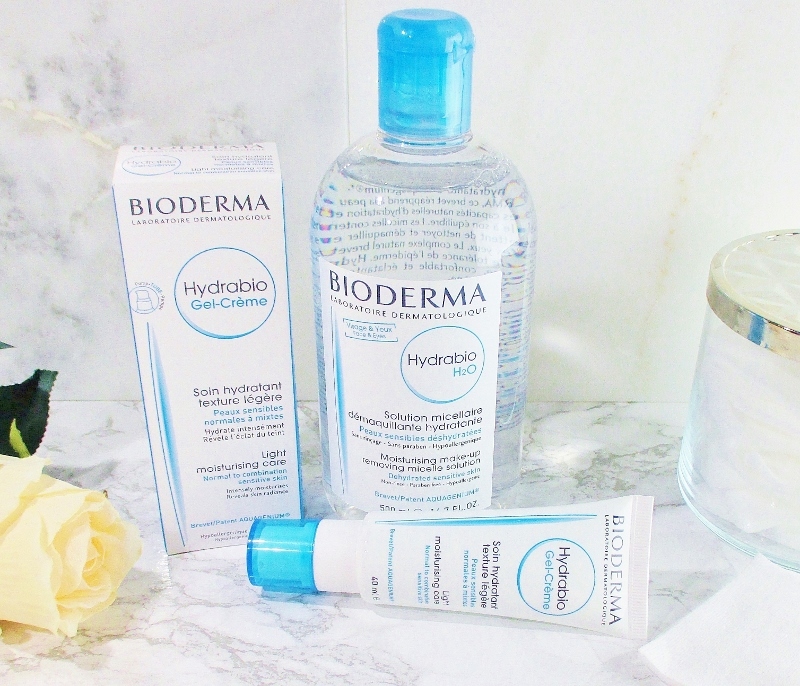 I have still never tried the Bioderma Micellar water and I had no idea they also made skincare products. They all sound really nice, but I can see why you didn't try the one for acne prone skin. Nice to hear what you thought of them. I've always been interested in trying them out too. The quality is excellent and I like these products. Sounds great! I'll have to enter when I'm on a computer! I need something like this in my life. Anything by First Aid Beauty always has my heart, hands down. I have a First Aid Beauty cleanser that I like, so far. I need to further explore the line. Hydrabio is so phenomenal! I love that stuff! This Miceller Water is my JAM. I haven't found anything comparable! I love the Sensibio H2O, I'm on my 3rd bottle! I've tried this before, I liked it! 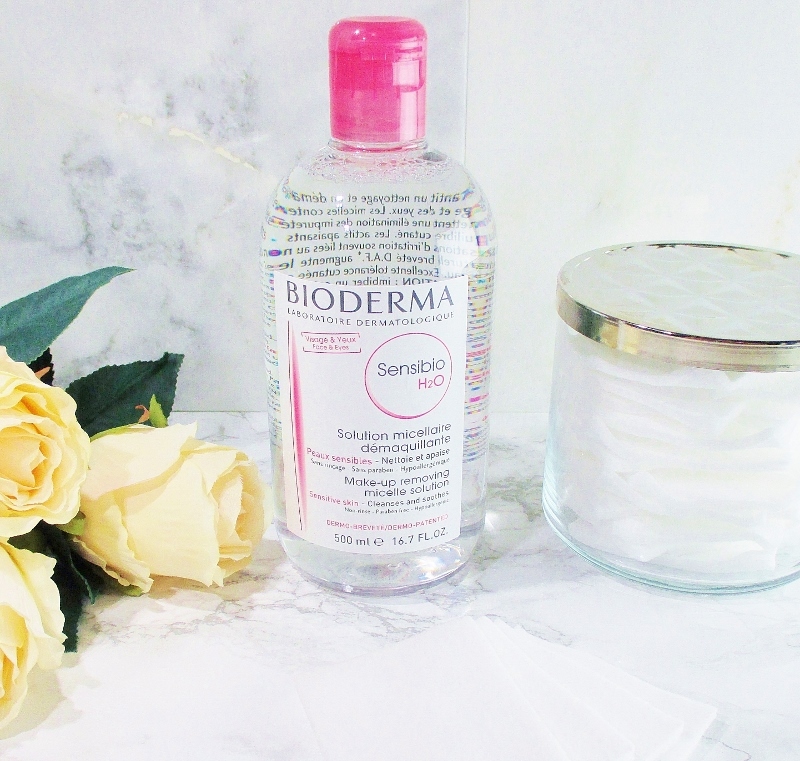 I love Bioderma products, but actually tend to use their micellar less now that there are so many great drugstore options. It is nice to see the brand becoming more accessible though. I like the Bioderma and I like the Garnier that I buy locally. It would be nice if Bioderma were available in stores! I really need to try this! It's a travesty I haven't tried a micellar water! Girl! You need to get on that! You'd love it. I'm a huge fan of Sensiblo and use it all the time. After I first broke my foot and couldn't stand it's all I used for cleansing. My holy grail product is definitely witch hazel toner! My comment was the above comment too lol I forgot to add my name, so I had to comment again with my name lol im sorry! My holy grail skin care product that I have been using for years is Jergens Ultra Healing Lotion. It has proven to moisturize my extremely dry skin time and again. I can't be without it! My holy grail skincare product is Jan Marini benzoyl peroxide for acne! Lately it's been the PC BHA Liquid. I've stopped manually exfoliating and just stick with that. I love Philosophy Purity Made Simple Facial Cleanser. Very gentle yet effective. I've been curious about micellar water and have never tried one. This is a great opportunity, thanks. My holy grail product is Josie Maran Argan Oil, it helps keep my combo skin in great shape! I've used the Olay Oil Minimizing Clean Toner for years, so I would say it qualifies as my holy grail. I love St. Ive's face scrub. It makes my skin so soft. I really like La Roche Posay's cleanser. I really like aveeno products. 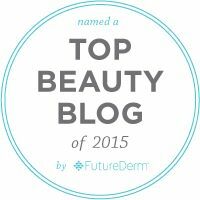 Skyn Iceland Oxygen Infusion Night Cream is my favorite product! My holy grail product is IT Cosmetics Celebration Foundation. Miceller Water works so good my daughter and i both love it. Mario bedusca healing powder and silver powder are must haves in my skincare routine. My current holy grail item is Yes to Carrots moisturizer. I love it! My favorite skincare product lately is a Lemon Sparkling peeling gel. Loving it! My Holy Grail product right now is Philosophy Renewed Hope in a Jar Night Cream. It's wonderful in winter weather. My favorite skincare product is my Cetaphil Daily Facial Moisturizer SPF 15. I have been using it for years and it provides the perfect amount of hydration to my skin without irritating it. I absolutely love Roc Retinol Corrextion eye cream. I have noticed fine lines are less noticeable since I started using it. I have not yet tried your products but from what I have read they seem amazing and would love to try them! Right now I am loving It Cosmetics bye bye foundation moisturizer. I haven't stuck to any one product because there's so many to try and the ones i love like SK-II Essence is expensive, but one product i have on hand as of last spring is Neutrogena Rapid Clear Toner.I get a lots of acne on my face, back, and chest. I've gone thru 3 bottles in less than a year. 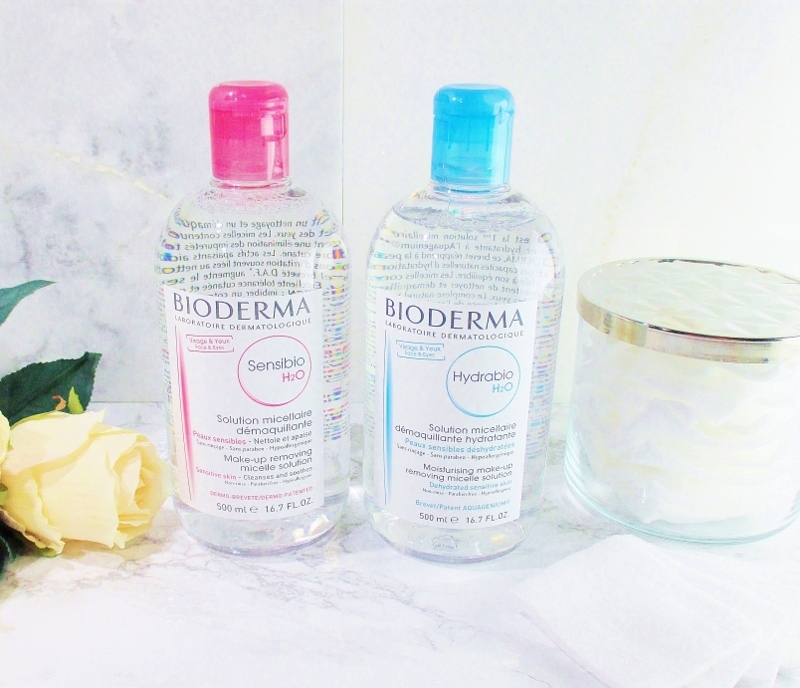 The Bioderma Sebium H2O Micellar Water sounds so great. My holy grail skin care product is my Cellex C.
I'm really into using the Korean face masks. They are fun and they have so many different kinds of them. The only one I haven't done is the one with the Snails. I just can't do it. Mine is belitae vitamin c serum. I LOVE Fresh Rose Face Mask! Dior One Essential Boosting Serum is my holy grail! It is crazy expensive, but my skin freaks out without it and I love it so much! I really love It's potent eye cream by benefit! My holy grail Product is Sky Iceland Icelandic eye cream. Bioderma Sebium Mat Cream Light Moisturizer is definitely on my wishlist.